Read more about Pantenite Space Mining on our blog! How about having a space station of your own? Who never dreamed of having a space station? Actually, who never dreamed of going to space at least once in a lifetime? Now you can accomplish both of these dreams without even having to lift from your comfortable chair. Are you up for such an epic adventure in board of an equally epic strategy game? Of course you are, who wouldn’t? 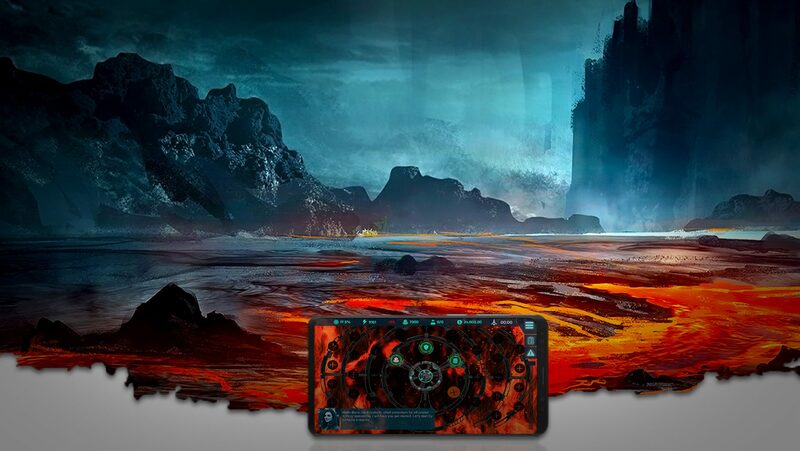 Play Pantenite Space Mining on PC and Mac with BlueStacks and make sure to follow humanity as they struggle to survive at the orbit of a planet called Maia 412. Test your skills and strategies by extracting important resources, as well as planning the expansion of your base in the meantime. Harvest whatever you can in the oddest conditions and create a space station worth living at. Design and build a new army to guarantee the protection of your people and raiding against your enemies. Expand your project, learn new technologies and create a superstructure with the most challenging and expensive situation you can ever come up with. Easy? Not at all. But necessary, as your survival is at stake. Download Pantenite Space Mining on PC with BlueStacks and mine your way through space! Why play Pantenite Space Mining on Bluestacks? Play Pantenite Space Mining. Redeem your BlueStacks Points. Get rewards! BlueStacks is undoubtedly the most sought after way of playing Pantenite Space Mining. Experience awesomeness once and never go back. Pantenite Space Mining ships with an Out of the Box (OTB) default Keymapping based on years of gamer feedback. 6 You're all done! Enjoy playing Pantenite Space Mining on your PC. Of course the new and improved BlueStacks is going with you in your adventure in space. How couldn’t we? We are the fastest and most powerful gaming engine ever developed by men for one reason, and this is reason is pretty clear to us: having your back at all times, no matter what it is. So, do you have room for the new and improved BlueStacks 4 at your new expedition? We hope you do! Download Pantenite Space Mining on Windows 7, 8, 10 with BlueStacks and make your space journey a little bit easier, by relying on amazing features only BlueStacks can offer. Like, for example, the Keymapping tool, to customize your entire set of commands, the Combo Key macro feature, to create shortcuts for your best sequences of action and even the Muilti-Instance mode, to open different apps at the same time or even the same game twice, using multiple Google Accounts. All of it and much more are waiting for you right here on Earth, attending by the name of BlueStacks. Give it a try and see how it goes! Meet other space lovers online. Though the online gaming community is not space itself, it certainly has the capacity of gathering loads of players who really love space journeys, that’s a fact. So, if you are one of them, why don’t you simply pay them a visit. Play Pantenite Space Mining on PC with BlueStacks and broadcast your game in real time with just one click, via your favorite social network, like the Twitch.TV, for example. Socialize your game and make the most of it with BlueStacks!